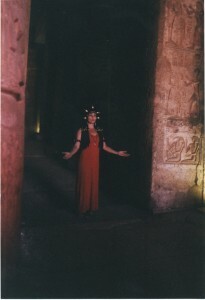 Join me in Egypt for the Trip of a Life Time next Spring 2011. We are registering people early because it insures us all the best accommodations. We have a payment plan for budgeting. I am not going to do this again so now is the time. There are other places I want to go in my life. I really rather go to Egypt with my dancing sisters, family and friends rather than a bunch of unknown tourists. I know you would too. This is going to so amazing. We will do two trips in one. Ancient Egypt and Modern Day Egypt and if you are really adventurous continue on to Jordan where we will visit Petra and the red sea! Check out my scrap book from previous adventures in Egypt! 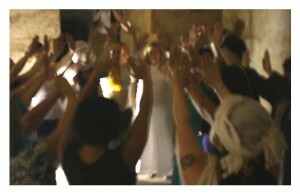 This photo was taken of us doing a circle dance in the Queens chamber in the Great Pyramid in 2008. Saturday is the annual Fremont Solstice Parade and the wheather forecast keeps changing (worsening by the minute, 70 % precipitation at the moment). This is the 22 nd year for the parade and we have been in 20 of them. We got rained out once and a second time it started pouring just as we finished. This season for the past 6 weeks we have had rain at almost every rehearsal. We are groups of 30-50 dancers Tuesday and Wednesday, Then the think tank class on Thursday, where we work out the choreographic bugs each week, is a bout 12 dancers. We have to practice out side in a play ground because the dance choreography is big! We have about 20 drummers and a Trumpet player. Their hands get cold. Not been easy. Because of the obstacles this year our dances are pretty simple. Last night we had a dress rehearsal on some back streets in Fremont. We got to enact all our transitions and are looking good and ready to go. All we need is the Weather to cooperate. It’s threatened to rain before on us. Actually the year we built the pyramid they predicted rain but it held until the night. We hope our luck will holds again this year. If it doesn’t. . . This becomes the hardest decision of my life. How do I call it? Well if it rains buckets in the morning, it’s easy. No parade. However what if it’s just gray and threatening? We can’t dance in the rain; 1. It’s slippery, no one wants a broken ankle 2. Costumes banners and props get wrecked, 3. We can’t carry around rain gear with us just in case. It’s cold. No one wants to belly dance in coats. 4. Will the audience stand around in the rain. probably with umbrellas. 5. Drummers get cold hands. If it’s just grey the gals have decided to show up no mater what and call it off if it gets dangerous. A bike with cart will be with us to carry rain gear and visqueen. If we have to call it off. Well, next year will have the same color theme and we will have a year to make our costumes even better and improve our dance concepts. Plus work on banners. Plus add more dancers! All together we have about 89-99 folks readying themselves for this parade. We have 4 groupings of dancers and they each have different props and a rhythm where they are spot lighted a little more predominantly. The Water has blue gauntlets with ribbon streamers and dances to bolero. The Earth has brown silk veils and is the lead with the saeedi. The names of our dances are cute. They are inspired by the ways the Earth dynamically dances; Earth Quake, Tornado, Kelp and Critters, Volcano, whirl winds, waves, fire Storm, chaos . . . In the past year the Neighborhood Temple Priestesses have done a ton of good work. I want to share below, but first an introduction. This is an excerpt from Ruth St Denis Poem called “ Entertainment for the Beloved “ , I glean my life long inspiration from this and a few other poems. An autographed copy of this poem was given to me as a girl by my grandmother and I have used in my dances on many occasions. asleep in the tombs of kings, and queens. to the drum beats and the lingering melodies of the harp. and made wise in the rhythms of love it’s self. to find joy and honor in their arms in the passing of the scented nights. Neighborhood Temple Priestesses are called NTP for short. Our dancers are from all different walks of life. We are a dance collective. However, we do view belly dance as food for the soul and supremely value it in our lives. We see belly dance as older and drawing from roots deeper than todays modern cultures . This gives us much freedom and artistic license. NEIGHBORHOOD. . . a greater community than just ourselves but that surrounds us and we are a conscious and participating member of. TEMPLE. . . Our body is a temple. Our dance feeds our soul, Our studio space a house for the dance we hold high. The space that allows us to do the good work in community. The temple gives us physical and metaphysical foundation. PRIESTESS . . . A women who leads rituals. 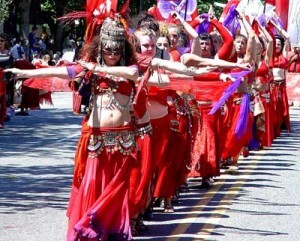 In America belly dance has always drawn inspirations from ancient times. This female station makes us think back to a time when women danced in temples as priestesses, stewards, mentors, healers, councilors and leaders in community. In ancient times “dance” held more importance to everyones life than than just gym class of stage performance. This word priestess denotes a high place women once occupied more vividly. We feel belly dance needs a lift in status and ego identification. We know it’s value in our lives as well as how it touches those around us. Priestess sounds more serious and I suppose we take our dance more seriously than the unaquainted with belly dance would guess. The word “Performer” sounds less personal, like a circus act and while we have fun we bring beauty and sensitivity to the things we do. Our work effects us as much as it does those around us. All belly dancers dance for everyday rituals like birthdays, anniversaries and weddings showers. Do they realize the importance rituals play in our lives? Or do we all get so busy and used to things that we loose the significant meaning ritual plays in our lives. Instead of taking a passive performance role we aim to step up and facilitate the significance of these gatherings a bit more directly. We do birthdays and the like, as well as take it a step further than most and do wakes, memorials, house blessings, ground breaking, healing support gatherings, coming of age. 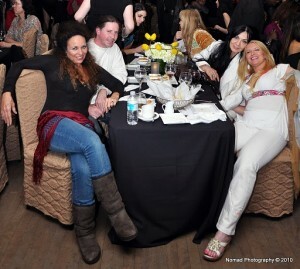 We create new rituals, build public and private art installations utilizing belly dance. 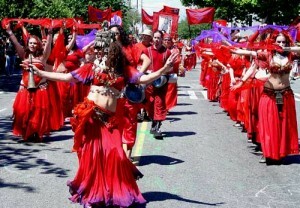 Examples; dance labyrinths, shadow plays, solstice feasts, luminaria walks, parades, nature dances. . . we use creative and intuitive energy to bring us all closer to the present moment in our lives. As a dance group we aim to share these acts of grace with those around us. The work we do feeds our hearts and rewards our soul. We leave them crying often. In a good way. We feel that the average Joe on the street has lost a connection of original dance. Dance in ancient times was not for show so much as it was a way for each individual to participate in direct commune with powers that are bigger and more beautiful than can be comprehended. The first dances were around camp fires, joining hands and dancing in circle, and dancing from house to house and village to village in celebration of the cycles of nature and the gift that is life. In it’s basic form the drums immitatie our heart beats. As it quickens it intensifies our energy and compel us to jump, turn, shake, stomp, skip and reach levels of ecstatic movement. These occurrences are unspeakable for there are no words that capture that feeling. In ancient times dance was something everyone did because it was as essential to life as food, water, shelter and air. Today we have a very distant association of what dance is. So many people do not know what I’m really talking about. Dance has become something you need a partner to do. Only for certain talented people or something studied and learned instead of a basic necessity. Our traditional dance academies teach people not to dance more than too dance. We are brain washed to think of dance as for the young skinny children. How many men in our culture say ” sorry I don’t dance”? We are dedicated to dissolving that myth. The NTP is all ages and walks of life and levels of dance experience. We are not limited to just dancers. We have artists and other supporters who have joined. We do traditional belly dance, creative dance, ritual dance, trance dance, pharaonic dance and dancing in nature. What defines the dance for us in not one ethnic culture but the culture of women. Women hear the call to belly dance and associated expressions that come from our feminine being. We feel the would needs more of this. 2. Auxiliary Members who are very busy and get called in when we need them or they have time and interest. 3. Members from inside and out side the Seattle area that belong to our yahoogroup. Online we share the progress of our creative projects in hopes to educate and inspire like action as well as learn from our mistakes. We read books together, hold good thoughts for each other, and other positive acts. Membership is always open. We have a Honolulu Chapter that has just started up and similar interest evolving, in Alabama a couple other places have expressed mild interest. We have members from other countries too. In Seattle we hold three kinds of get togethers. Meetings, Workshops and combinations. Workshops are where skills are shared projects or developed. Meetings are about planning new projects, scheduling and taking care of business. NTP is not suppose to take the place of ones sole dance instruction but add to it. Fees are flexible. No one is turned away. Call and come to a meeting. They are listed on the VDP Calendar. The way the group works is simple. Not a lot of rules. No dancer has to do anything she’s not interested in. If a member has an idea and a project she wants to move forward with there is nothing we can’t do if there are members interest and available in the group. In 2009 we have done many fund raisers, baby and wedding showers and other women’s gathering in the past year in addition to these larger community projects listed below. 2010 January; Kalani Hanua Non Profit Arts Retreat, Hawaii. Installation of a 48 foot wide dance labyrinth using 650 electric candles and flowers. This was set under a full moon for participating dancers as well as the local community, and was followed the next day by a smaller, spiral-style, organic dance labyrinth made of bamboo leaves. 2009 December; Open House Winter Solstice celebration, VDP Studios. 22 foot wide indoor dance labyrinth with 400 electric candles. out takes are on one of the Power belly Show episodes. 2009 December; Pathway of Lights, Greenlake Park. Moving dance installation with both dancers and musicians. 2009 October; Trolloween, Fremont Arts Council. Outdoor 3-D shadow dance performance and installation. 2009 August; A Dance for Celeste, Luther Burbank Park, Mercer Island. Neighborhood Temple Priestesses outdoor dance memorial celebration held at dusk. Used 300 electric candles along with white veils. 2009 January; Mommy Muse, Hugo House. Featured dance performances in conjunction with a presentation by Christy Cuellar-Wentz, MA on postpartum depression. We have some workshops coming up. The fee is by donation upon ability. See our calendar page.